By using this website, you signify your agreement to these Terms and Conditions of Use (“Terms and Conditions” or “Terms”). You must agree to these Terms and Conditions of Use in order to use this Weight Loss Institute of Arizona (“WLIA”) website, wliaz.com. If you do not agree to all of these Terms and Conditions of Use, do not use this website! WLIA is an s-corporation company organized under the laws of the State of Arizona. The servers that host this website are located in the United States, and any personal details you provide us will be processed by WLIA in the United States. WLIA expressly excludes any representation or warranty, express or implied, with respect to the information available on this website. WLIA makes no representation about any third-party websites that may be accessed via links from this Website. These Terms and Conditions of Use govern your access to and use of the WLIA website including, without limitation, all content such as text, information, images, video and audio (collectively, “Content”) and all services (“Services”) made available to you through the WLIA website (this website and the Content and Services are collectively referred to herein as this “Site”) by WLIA and/or third parties. This Site incorporates proprietary intellectual properties, which are protected by copyright (including certain rights of patentability) and are maintained by WLIA and/or its affiliates, as confidential and proprietary information to be used only in connection with these Terms and Conditions. This Site may provide access to additional information that may be of use to physicians and other health care providers. We have established the following terms that govern the use of this Site. By using this Site, you are agreeing to be bound by these terms. WLIA may revise and update these Terms and Conditions at any time. Therefore, we encourage you to review this Site and these terms for any updates or changes on a periodic basis. Your present and subsequent use of this Site demonstrates your acceptance of these Terms and Conditions of Use. 2. Medical Disclaimers. THE CONTENT AVAILABLE THROUGH THIS SITE IS FOR INFORMATIONAL AND EDUCATIONAL PURPOSES ONLY AND IS NOT A SUBSTITUTE FOR THE PROFESSIONAL JUDGMENT OF A HEALTH CARE PROFESSIONAL IN DIAGNOSING AND TREATING PATIENTS. WLIA DOES NOT GIVE MEDICAL ADVICE, NOR DOES IT PROVIDE MEDICAL OR DIAGNOSTIC SERVICES. ADDITIONALLY, THE USE OF THE CONTENT OBTAINED THROUGH THIS SITE DOES NOT ESTABLISH A PHYSICIAN-PATIENT RELATIONSHIP. Your reliance upon Content obtained by you at or through this Site is solely at your own risk. Always seek the advice of a physician or other qualified health care provider with any questions you may have regarding a medical condition. Never disregard professional medical advice or delay in seeking it because of something you have read on this Site. WLIA does not endorse or credential the services of health care providers listed on this site and WLIA makes no representations or warranties about the type of services or quality of care of such health care providers. WLIA is a marketing and administrative corporation and does not provide medical services. Please check with WLIA practitioners for specific medical accreditations and certifications. Your reliance upon information and Content obtained by you at or through this Site is solely at your own risk. Neither we nor our Content providers assume any liability or responsibility for damage or injury (including death) to you, other persons or property arising from any use of any product, information, idea or instruction contained in the Content or Services provided to you. 3. Description of Service. WLIA is marketing and administrative company based in the United States that refers patients to WLIA independent practitioners. The independent practitioners can further inform you about your medical treatment options after your personal consultation and informed consent. In this role, we research and gather publicly available information and provide this information to you for your personal use in making a more informed decision about your medical treatment options outside the United States. 7. WLIA is committed to protecting the privacy of children. You should be aware that this Site is not for or designed to attract children. We do not collect personally identifiable information from any person we actually know is a child. Any children 16 and above must be accompanied by a parent or guardian. 8. Copyright, Ownership, and Use. All of the Content on this Site, including all text, photographs, graphics, images, videos, format, and other expressions is the property of WLIA, or the suppliers of Content. All of the above is protected by the U.S. and international copyright laws. ANY UNAUTHORIZED OR UNAPPROVED USE OF ANY OF THE CONTENT CONSTITUTES COPYRIGHT INFRINGEMENT AND SUBJECTS YOU TO ALL CIVIL AND CRIMINAL PENALTIES PROVIDED FOR UNDER DOMESTIC AND INTERNATIONAL COPYRIGHT LAWS AND TREATIES. A user of this Site may only use the Content for accessing and understanding such information for individual and personal use. No one may copy, make any reproduction or modification or any derivative work of the foregoing, and may not republish or display any of same, nor may any of same be linked to any other website unless such website provides acknowledgment of ownership of same in WLIA or its third party suppliers or licensors. 9. Content. The Content contained on this Site is provided by WLIA or under license by third parties as a service to the users of this Site. This Site and the information, Services, and materials contained on this Site are provided on an “as is” basis. You agree that the use of this Site is at your sole risk. Neither WLIA nor any of its affiliates warrant that the information on this Site is accurate, reliable or current. Additionally, there are no warranties as to results that may be obtained from the use of this Site. Rather, the information provided is for informational and educational purposes only. It is not a substitute for advice from physicians or other health care providers. Any specific medical questions that you, the user, may have relating to a medical condition, care or treatment or diagnosis should be presented to your physician or health care provider. a. Disclaimer of Warranty. THIS SITE AND THE INFORMATION, SERVICES, AND MATERIALS CONTAINED ON THIS SITE ARE PROVIDED ON AN “AS IS” BASIS AND YOUR USE OF THIS SITE IS AT YOUR OWN RISK. WLIA AND ITS AFFILIATES MAKE NO WARRANTIES OF ANY KIND, EITHER EXPRESS OR IMPLIED, INCLUDING, WITHOUT LIMITATION, THE IMPLIED WARRANTIES OF MERCHANTABILITY, FITNESS FOR A PARTICULAR PURPOSE, TITLE, OR NON-INFRINGEMENT, OR WARRANTIES ARISING BY COURSE OF DEALING OR CUSTOM OF TRADE. NEITHER WLIA NOR ITS AFFILIATES WARRANT THAT THE INFORMATION ON THIS SITE IS ACCURATE, RELIABLE OR CURRENT. NEITHER WLIA NOR ANY OTHER CONTENT PROVIDERS MAKE ANY WARRANTY OR REPRESENTATION, EXPRESS OR IMPLIED, AS TO THE ACCURACY OF THE DATA FROM WHICH THE INFORMATION IS COMPILED OR THE ACCURACY OF THE INFORMATION ITSELF, NOR THE COMPATIBILITY OF THE INFORMATION WITH ANY HARDWARE AND SYSTEMS. WLIA ALSO MAKES NO REPRESENTATIONS OR WARRANTIES THAT YOUR ACCESS TO AND USE OF THIS SITE (1) WILL BE UNINTERRUPTED OR ERROR-FREE, (2) IS FREE OF VIRUSES, UNAUTHORIZED CODE, OR OTHER HARMFUL COMPONENTS, OR (3) IS SECURE. YOU ARE RESPONSIBLE FOR TAKING ALL PRECAUTIONS YOU BELIEVE NECESSARY OR ADVISABLE TO PROTECT YOU AGAINST ANY CLAIM, DAMAGE, LOSS OR HAZARD THAT MAY ARISE BY VIRTUE OF YOUR USE OF THIS SITE. WLIA AND ANY THIRD-PARTY SUPPLIER ASSUME NO RESPONSIBILITY FOR ANY PRODUCT, BRAND, METHOD, INFORMATION OR SERVICES ON THIS SITE IN ANY WAY, AND THERE IS NO WARRANTY OR ANY ASSURANCE THAT THE PRODUCTS OR SERVICES CONTAINED OR DESCRIBED ON THIS SITE WILL SATISFY ANY REQUIREMENTS THAT YOU MAY HAVE. BY USING THIS SITE, THE USER ACKNOWLEDGES THAT IT IS AT THE USER’S SOLE RISK AND THE USER ASSUMES FULL RESPONSIBILITY FOR ALL RISK ASSOCIATED WITH USE OF THIS SITE. b. NEITHER WLIA NOR ITS AFFILIATES NOR ANY THIRD PARTY SUPPLIER CAN BE ASSURED THAT THE USER, IN USING THIS SITE, HAS SELECTED AN APPROPRIATE SERVICE PROVIDER. AGAIN, YOU SHOULD USE THIS SITE FOR GENERAL INFORMATIONAL AND EDUCATIONAL PURPOSES ONLY AND SHOULD DIRECT ANY FURTHER INQUIRIES TO A PROFESSIONAL HEALTH CARE PROVIDER. Some jurisdictions do not permit the exclusion or limitation of implied warranties. Therefore, only if required by applicable law, some or all of the exclusions or limitations above may not apply to you. You may have other rights from jurisdiction to jurisdiction. c. Exclusion of Damages. AS CONSIDERATION FOR USER’S OPPORTUNITY TO USE THE GENERAL INFORMATION AND PROCESSES PROVIDED ON THIS SITE, USER AGREES THAT UNDER NO CIRCUMSTANCES WHATSOEVER WILL WLIA OR ANYONE ASSOCIATED WITH WLIA OR THIS SITE BE LIABLE IN ANY WAY TO YOU OR ANY OTHER ENTITY FOR ANY ACTION OR INACTION TAKEN BY USER IN RELIANCE UPON INFORMATION OR SERVICES PROVIDED THROUGH THIS SITE. NEITHER WLIA NOR ANYONE ASSOCIATED WITH WLIA SHALL BE LIABLE IN ANY EVENT FOR ANY DIRECT, INDIRECT, SPECIAL, CONSEQUENTIAL, INCIDENTAL OR PUNITIVE DAMAGES THAT RESULT FROM OR RELATE IN ANY MANNER WHATSOEVER TO (1) YOUR USE OF THIS SITE, OR RELIANCE ON THE CONTENT, OR (2) ERRORS, INACCURACIES, OMISSIONS, DEFECTS, UNTIMELINESS, SECURITY BREACHES, OR ANY OTHER FAILURE TO PERFORM BY WLIA OR ITS CONTENT PROVIDERS. THE FOREGOING EXCLUSION SHALL APPLY REGARDLESS OF WHETHER WLIA HAS BEEN ADVISED OF THE POSSIBILITY OF SUCH DAMAGES. Some jurisdictions do not permit the exclusion of certain types of damages. Therefore, only if required by applicable law, some or all of the exclusions above may not apply to you. You may have other rights from jurisdiction to jurisdiction. d. Limitation on Liability. IF, NOTWITHSTANDING THE OTHER TERMS OF THIS AGREEMENT (OR ANY OTHER AGREEMENT BETWEEN YOU AND US), WE (OR OUR CONTENT PROVIDERS OR OTHERS ASSOCIATED WITH THIS SITE) SHOULD HAVE ANY LIABILITY FOR ANY LOSS, HARM OR DAMAGE, YOU AND WE (ON BEHALF OF OURSELVES AND OUR CONTENT PROVIDERS AND OTHERS ASSOCIATED WITH THIS SITE) AGREE THAT SUCH LIABILITY SHALL UNDER NO CIRCUMSTANCES EXCEED $1,000. YOU AND WE (ON BEHALF OF OURSELVES AND OUR CONTENT PROVIDERS AND OTHERS ASSOCIATED WITH THIS SITE) AGREE THAT THE FOREGOING LIMITATION OF LIABILITY IS AN AGREED ALLOCATION OF RISK BETWEEN YOU AND US (AND OUR CONTENT PROVIDERS AND OTHERS ASSOCIATED WITH THIS SITE) AND REFLECTS THE FEES, IF ANY, WE CHARGE YOU TO USE THIS SITE, THE SERVICES, AND THE CONTENT. YOU ACKNOWLEDGE THAT ABSENT YOUR AGREEMENT TO THIS LIMITATION OF LIABILITY, WE WOULD NOT PROVIDE THIS SITE, THE SERVICES OR THE CONTENT TO YOU. 11. Foreign Access or Use. WLIA makes no claim that this Site is appropriate for access or use outside the United States. Your access and/or use of this Site outside the United States are at your own risk, and you are responsible for compliance with the laws of your jurisdiction. 12. Indemnification. You agree to defend, indemnify and hold WLIA harmless against any losses, expenses, costs or damages (including its reasonable attorneys’ fees, expert fees and other reasonable costs of litigation) arising from, incurred as a result of, or in any manner related to (a) your breach of these Terms and Conditions of Use, (b) your unauthorized or unlawful use of this Site, and (c) the unauthorized or unlawful use of this Site by any other person using your IDs. 13. Termination. Your right to access and use this Site immediately terminates without further notice upon your breach of these Terms and Conditions of Use. WLIA may terminate theses Terms and Conditions and/or your right to use this Site at any time, with or without cause. WLIA reserves the right to discontinue or make changes to this Site at any time. 14. Assignment. WLIA may assign these Terms and Conditions of Use, in whole or in part, in its sole discretion. You may not assign your rights under these Terms and Conditions without the prior written permission of WLIA. Any attempt by you to assign your rights under these Terms and Conditions of Use without the permission of WLIA shall be void. 15. Waiver. The waiver by WLIA of a breach of any provision of these Terms and Conditions of Use shall not operate or be construed as a waiver of any other or a subsequent breach of the same or a different kind. 16. Severability. If any provision of these Terms and Conditions of Use shall be held by a court of competent jurisdiction to be contrary to law, the remaining provisions of these Terms and Conditions of Use shall remain in full force and effect. 17. Governing Law. This Site is controlled under the laws of the State of Arizona and the United States of America. Any claim relating to this Site or Services provided through this Site will be governed by the laws of the State of Arizona, without giving application to the conflicts of laws provisions thereof. 18. Entire Agreement. These Terms and Conditions of Use contain the entire agreement between you and WLIA relating to the subject matter hereof, and supersede any other oral or written communications relating thereto. These Terms and Conditions of Use may not be amended or supplemented by (a) any purchase order or similar form originated by you relating to the subject matter hereof, or (b) statements of any WLIA employees. WLIA reserves the right to make changes to these Terms and Conditions of Use at any time without advance notice. WLIA agrees to post all amended forms of these Terms and Conditions of Use on this Site and such amended forms shall be effective immediately upon its posting. Your continued use of this Site subsequent to WLIA’s posting of amended forms of these Terms and Conditions of Use shall constitute your acceptance of the modified Terms and Conditions of Use. It is at all times your responsibility to read the most current form of these Terms and Conditions of Use before using this Site to ensure that you agree to the terms and conditions of any amendments made to these Terms and Conditions of Use. You agree that these standards for notice of amendments to these Terms and Conditions of Use are reasonable. 19. Miscellaneous Information. You agree to use this Site for legal and proper purposes. If you no longer agree to be bound by these Terms and Conditions, you agree to immediately cease use of this Site. 20. Acceptance of Terms and Conditions. You acknowledge that the provisions, disclosures, and Disclaimers set forth above are fair and reasonable and your agreement to follow and be bound to them is not the result of fraud, duress or undue influence exercised upon you by any person or entity. There are no representations, promises, warranties or undertakings by WLIA contrary to those set forth above. By clicking on the button below marked “accept” you acknowledge that you have reviewed and agree to all of the above provisions, disclosures, and Disclaimers. *The testimonials, statements, and opinions presented on our website are only applicable to the individuals depicted, and may not be representative of the experience of others. The testimonials are not indicative of future results or success of any other individuals. 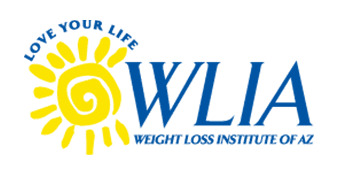 Weight Loss Institute of Arizona’s impendent practitioner affiliates cannot and do not guarantee the medical outcome or the results of individuals utilizing the services provided by Weight Loss Institutes of Arizona practitioners. The testimonials and endorsements found on the site for the benefit of the site or individual services or procedures are, to the best of our knowledge, the true statements and beliefs of the individuals providing them. These are the opinions of the patients and do not necessarily reflect the views of WLIAZ. In short, surgery involves risk, results vary from patient to patient, and outcomes are not guaranteed.